wes, adjust your monitor settings, it’s nose isn’t blue,its black, nice buck! hey guys rainbows end buys and collects trophies. the lodge is in challis, idaho. and by the way they are mule deer not whitetails. and u kids mule deer do rule. were is the deer from? 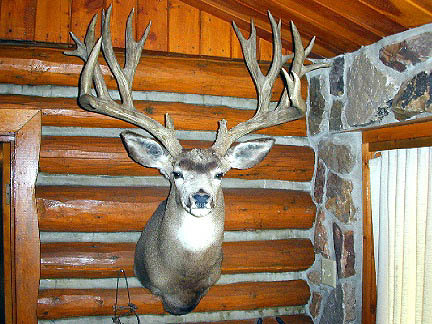 Fantasic mule deer buck. How did you manage to such a collection of mule deer bucks? Nice Buck if real please give us a score.